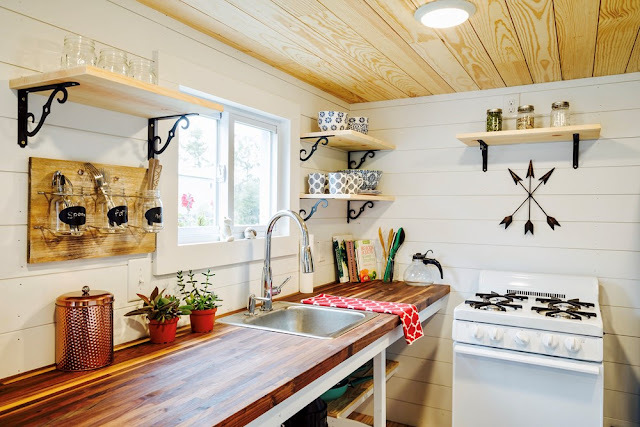 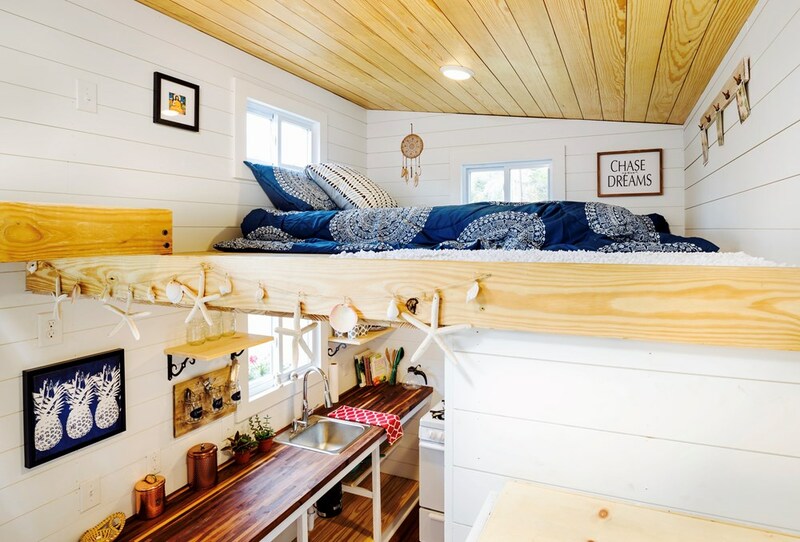 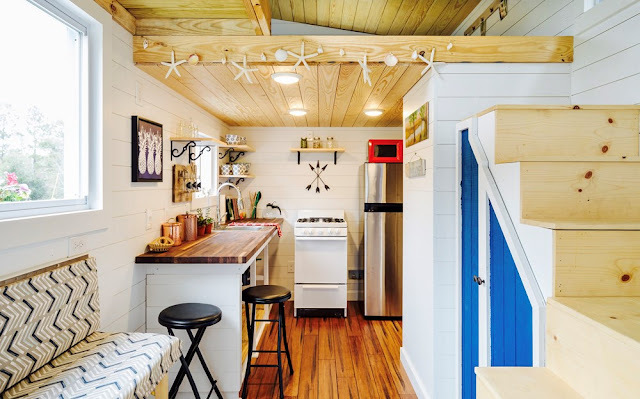 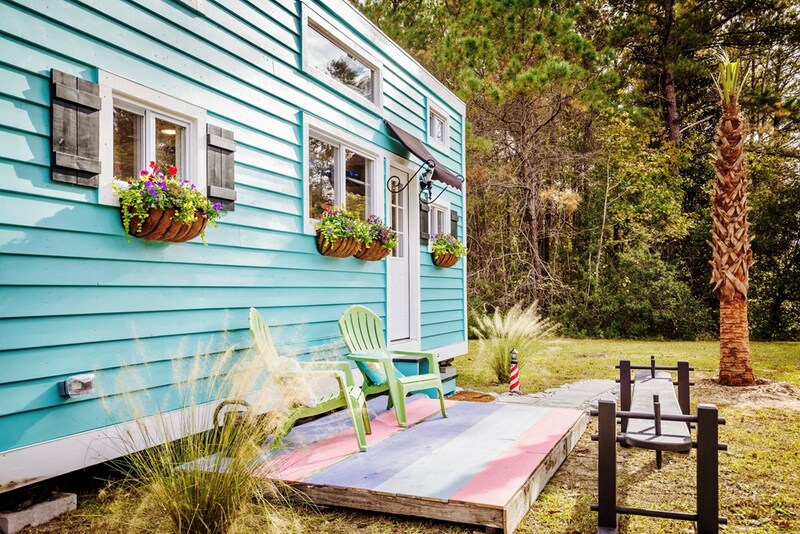 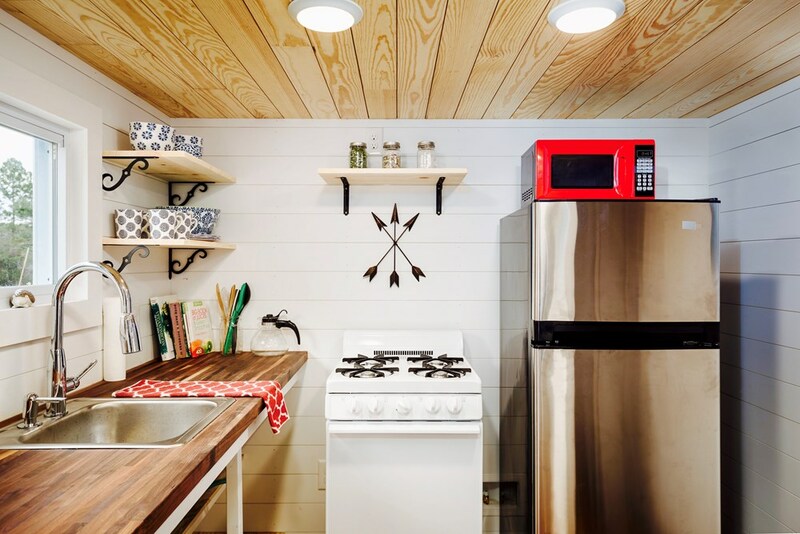 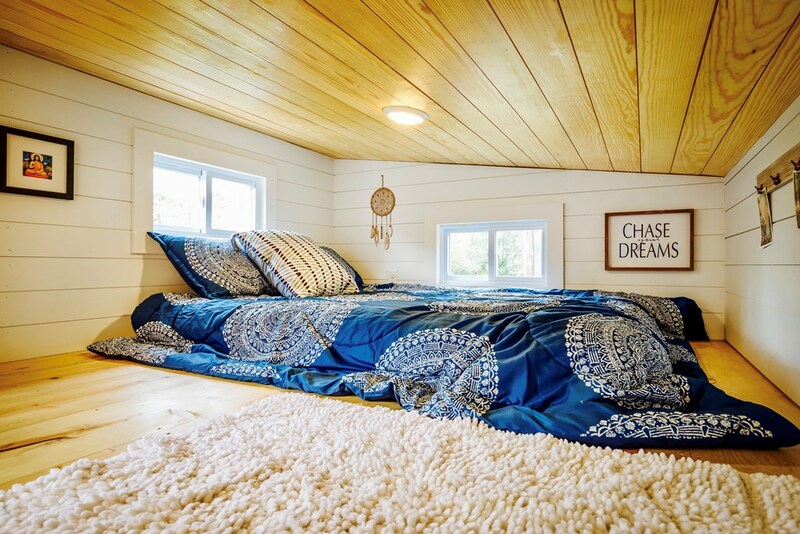 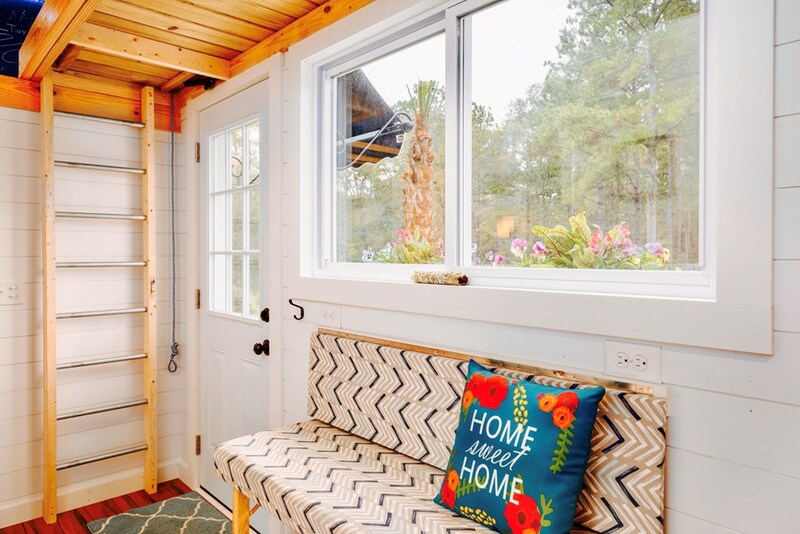 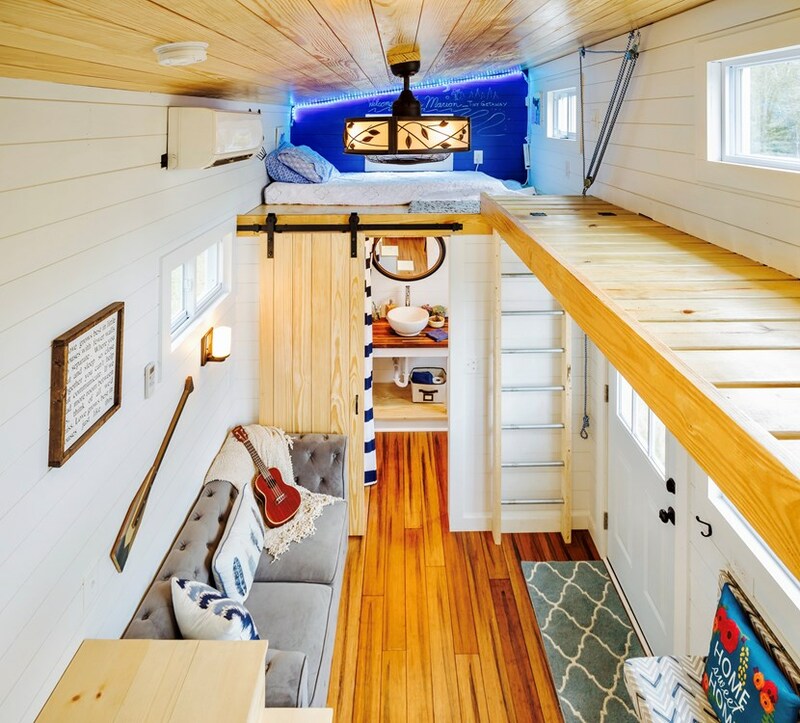 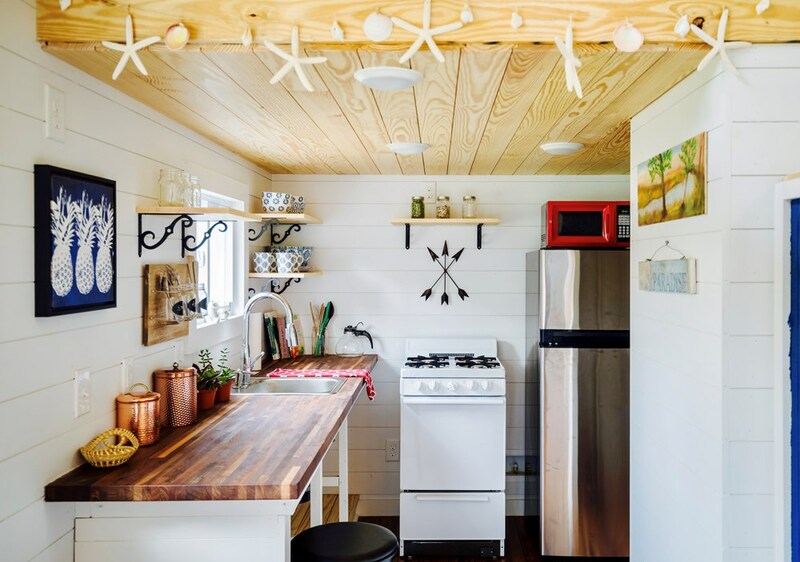 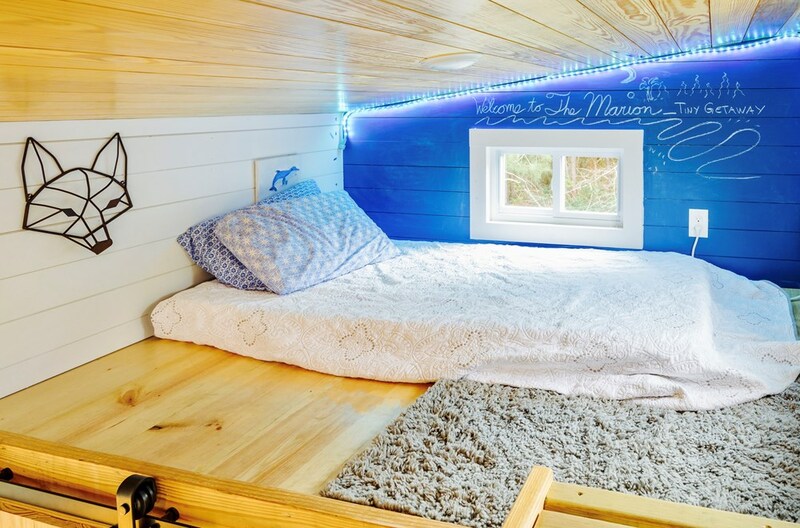 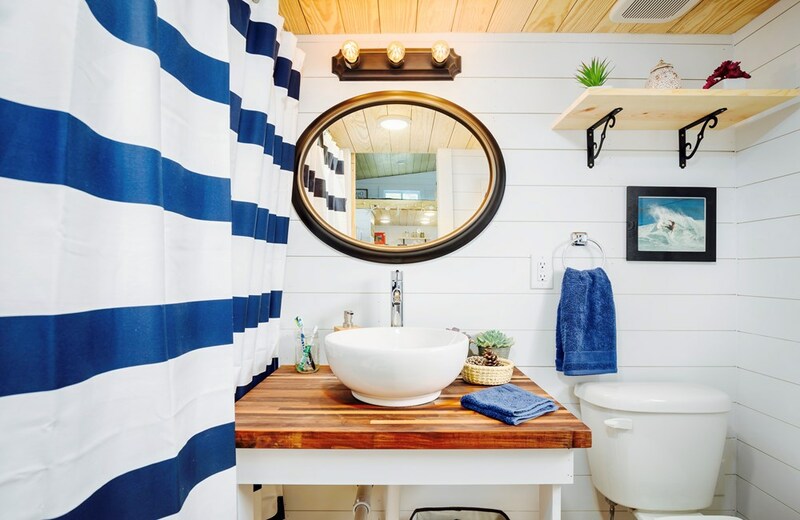 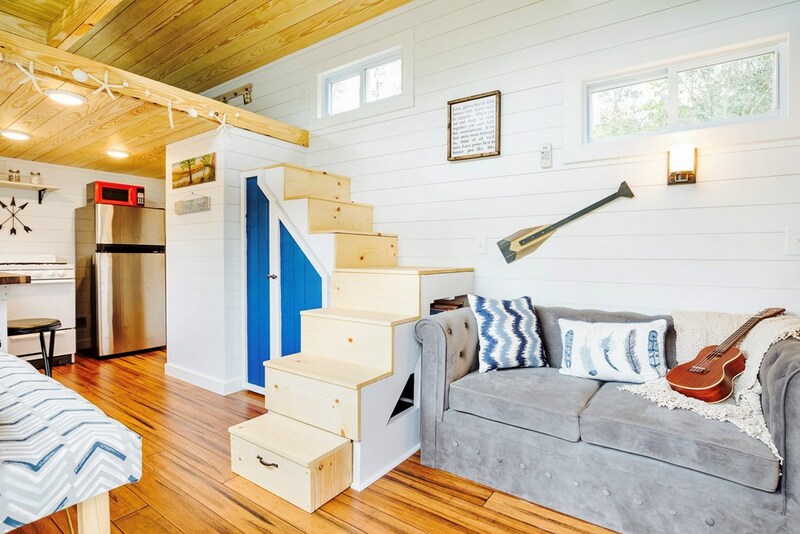 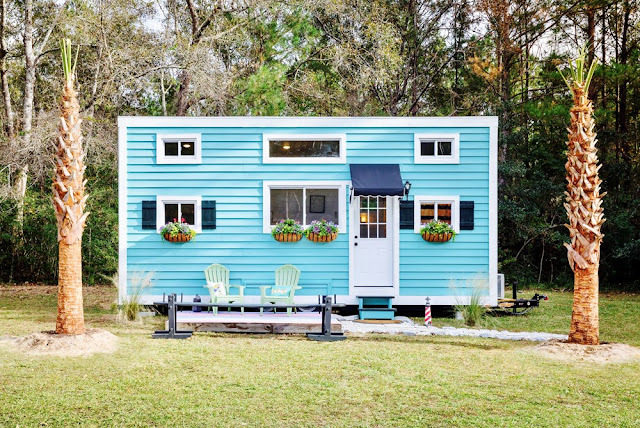 A tiny house that perfectly blends together style, comfort, and functionality! Named "The Marion", the 320-sq-ft home currently serves as a guest-home in South Carolina but is currently available for sale! Its open-concept living room comes with a loveseat and a foldable workspace/dining table. The kitchen features beautiful walnut butcherblock countertops with a stainless steel sink. 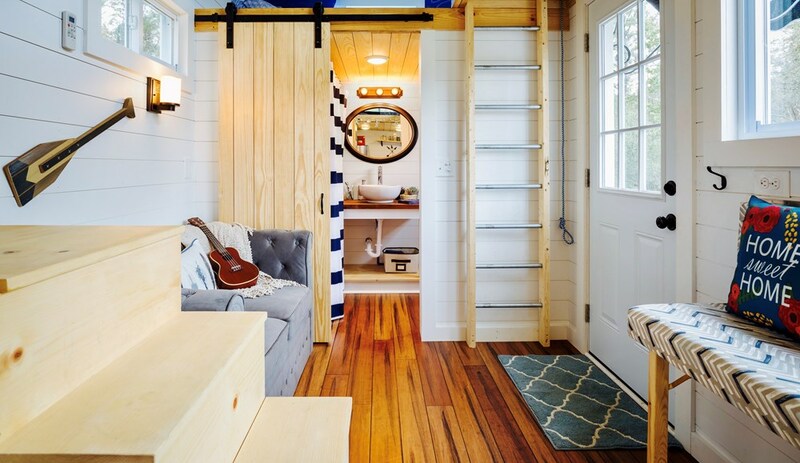 Also included is a wardrobe closet and laundry room. 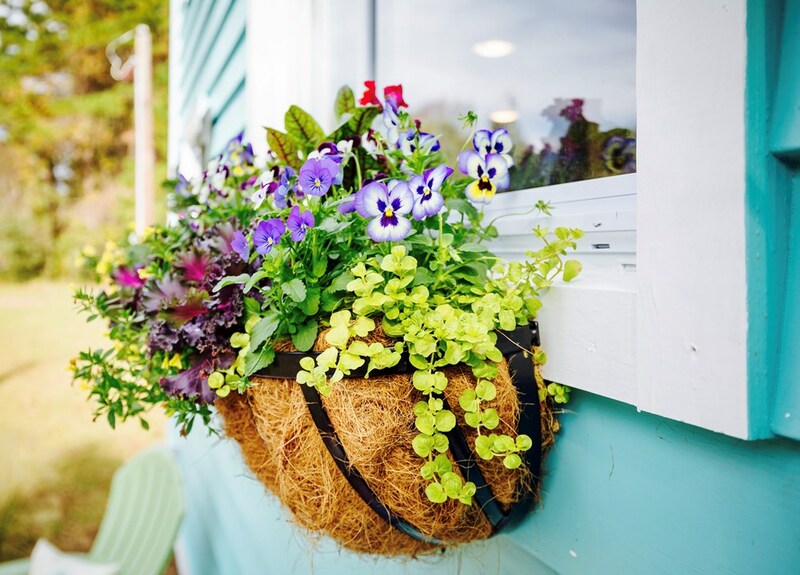 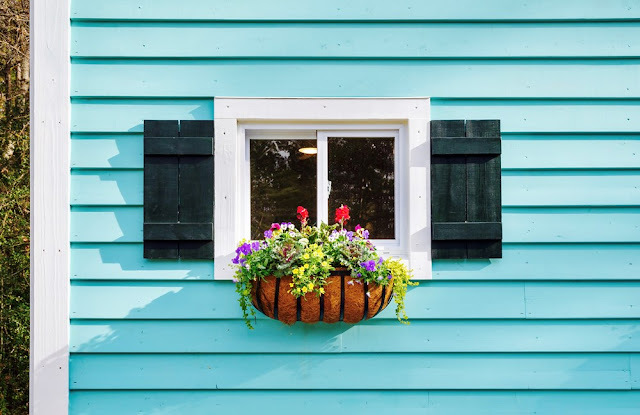 The exterior of the Marion features bright blue cedar plank siding with window boxes and Charleston awnings. 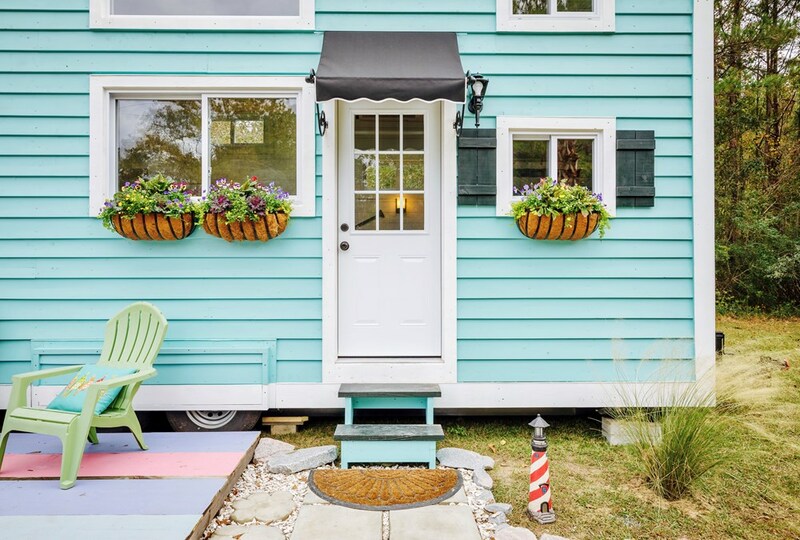 The home is currently listed for sale here for $79,000!